Stonewall DFL works to foster participation and leadership of LGBTQ people in the DFL Party and elect LGBTQ people and allies to public and Party office. 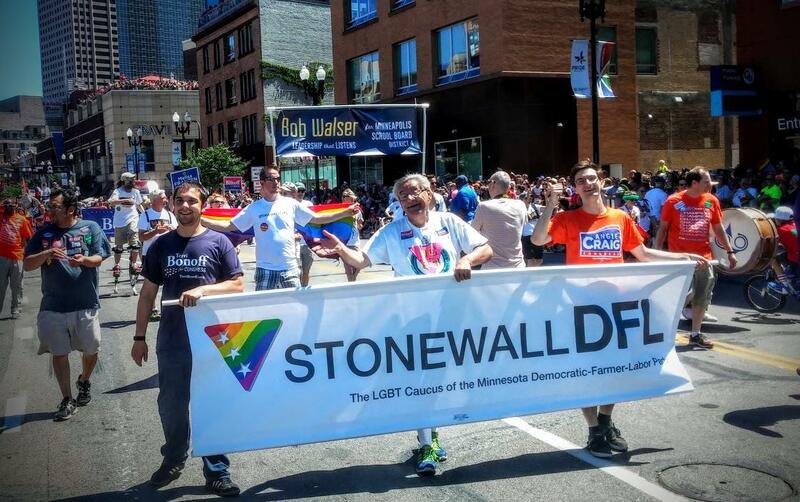 Become a Stonewall DFL Member! Stonewall DFL members have voting privileges at all membership meetings and committee meetings; this includes voting for candidate endorsements. The entire membership generally meets once or twice a year, electing the board of directors which meets monthly. Members are encouraged to be active with our six standing committees which meet with varying schedules. All meetings are public and guests are welcome. Stonewall DFL is a community caucus of the Minnesota Democratic-Farmer-Labor Party. Stonewall DFL represents the DFL in the LGBTQ community and represents the LGBTQ community in the DFL. 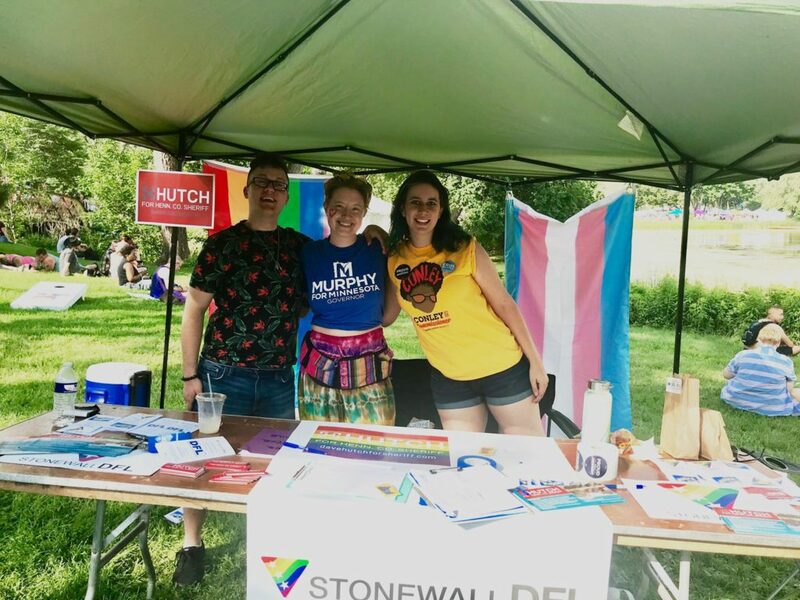 As the official LGBTQ outreach arm of the DFL, we participate in Pride and other events in every corner of the state – educating and registering voters, promoting our endorsed candidates, and creating a pipeline for LGBTQ people to get involved in the DFL Party. We remind the Party of – and help it fulfill – its obligations of outreach and inclusion for lesbian, gay, bisexual, transgender, and queer people. 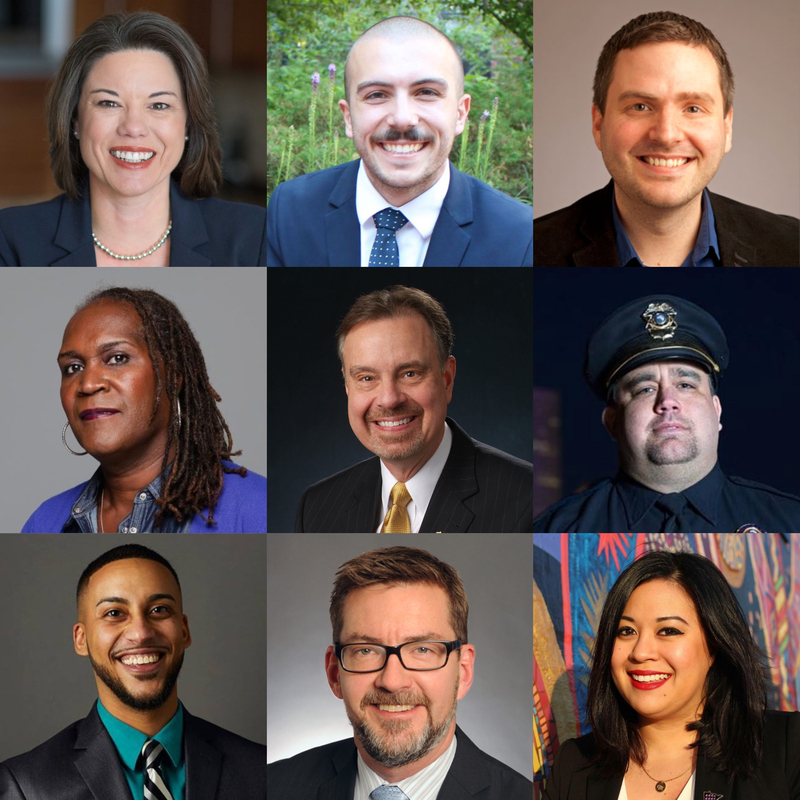 Stonewall DFL works for a safe and equitable Minnesota by endorsing and electing LGBTQ and allied candidates for public office in and in the Minnesota DFL Party. Our endorsements are important to many Minnesotans who seek our advice choosing candidates that will champion issues impacting the LGBTQ community. "By reputation, the queers know how to party. Not the worst rumor to have out there about you. But here’s what else they know how to do: organize campaigns, protests, serious events, social justice fights, legal and political actions. Every single right LGBTQ folks have won was because they went to war for it, often without a ton of help from straight allies. The Minnesota Stonewall DFL chapter is an active one, a badly needed voice in a state with exactly one queer legislator in the House and one in the Senate. Go meet the party caucus… and who knows, another kind of party just might break out after all." Stonewall DFL condemns the racist, Islamophobic attacks on Rep. Ilhan Omar. 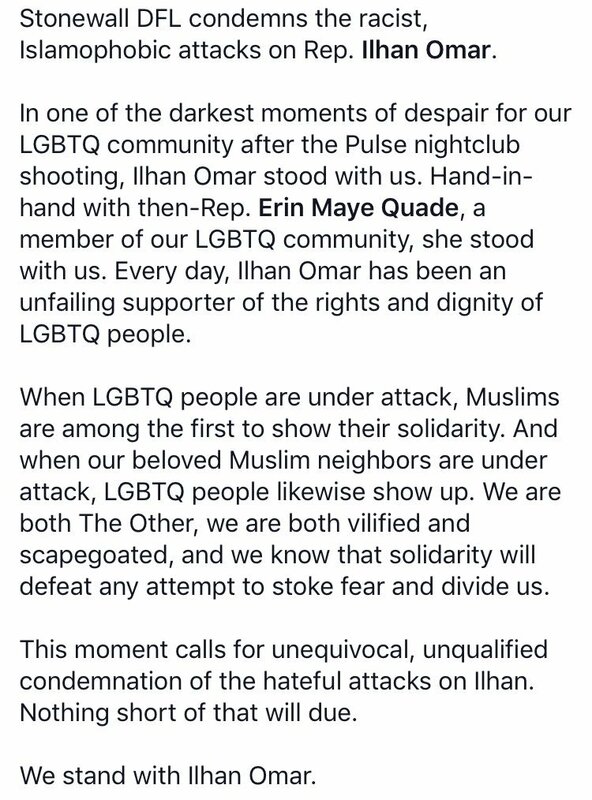 In one of the darkest moments of despair for our LGBTQ community after the Pulse nightclub shooting, Ilhan Omar stood with us. Hand-in-hand with then-Rep. Erin Maye Quade, a member of our LGBTQ community, she stood with us. Every day, Ilhan Omar has been an unfailing supporter of the rights and dignity of LGBTQ people. When LGBTQ people are under attack, Muslims are among the first to show their solidarity. And when our beloved Muslim neighbors are under attack, LGBTQ people likewise show up. We are both The Other, we are both vilified and scapegoated, and we know that solidarity will defeat any attempt to stoke fear and divide us. This moment calls for unequivocal, unqualified condemnation of the hateful attacks on Ilhan. Nothing short of that will do. We stand with Ilhan Omar. St. Paul’s 6th Ward covers the northern half of St. Paul’s East Side. The council seat was vacated after the retirement of Councilmember Dan Bostrom who served for 22 years. After Bostrom’s retirement, Kassim Busuri was appointed as interim councilmember until a new councilmember could be elected. St. Paul’s 1st Ward includes all or parts of the neighborhoods of Frogtown/Thomas-Dale, Summit-University, Union Park, Lexington-Hamline, Midway, and the North End. Ward 1 also encompasses much of the the historic Rondo neighborhood. Stonewall DFL works for a safe and equitable Minnesota by electing lesbian, gay, bisexual, transgender, queer, and allied Democrats to public office in Minnesota and to party office in the Minnesota DFL. The caucus offers endorsements for local, state and federal DFL candidates who support equality for all Minnesotans. Stonewall DFL provides endorsed candidates with both financial and volunteer support whenever possible. The Board of Directors meets on a monthly basis to carry out the business of the caucus and is open to the public. For information, visit mnstonewallDFL.org, follow its Facebook page (StonewallDFL) or follow @StonewallDFL on Twitter. 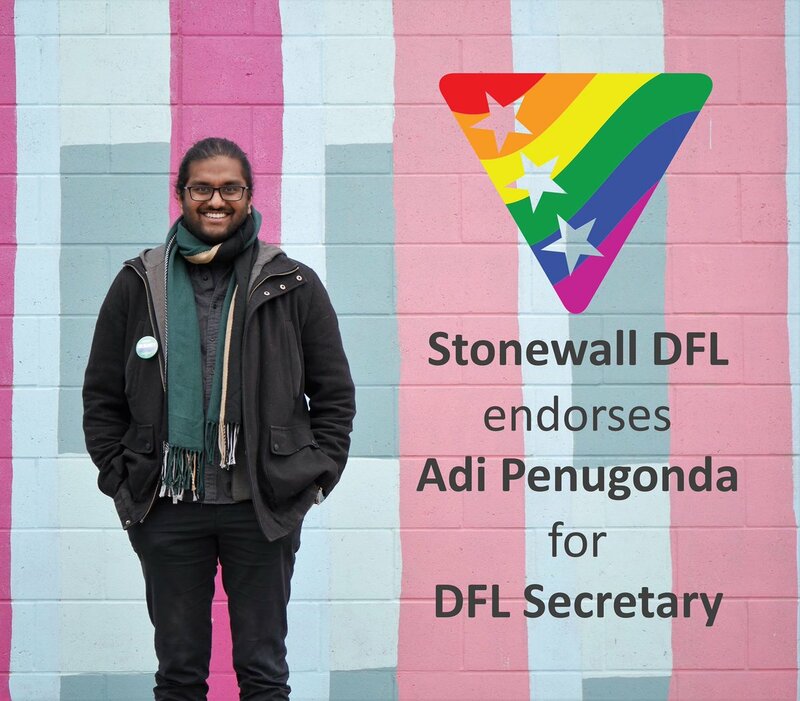 Stonewall DFL has endorsed Adi Penugonda @4LetterAdi for @MinnesotaDFL Secretary for the upcoming leadership term.